I can scarcely believe that a week and a half has already passed since I arrived at center in Chiang Rai! It truly has flown by in a whirlwind of laughter, chaos and dance-offs. I have found the children to be incredibly unique, testing and darling. This week has been, like I’ve been assured all will be, busy- when we see the children off to school in the mornings, it seems like no time before they are back from school and the center is filled with laughter and the screaming sounds of the kids playing and avoiding doing their chores at all costs. 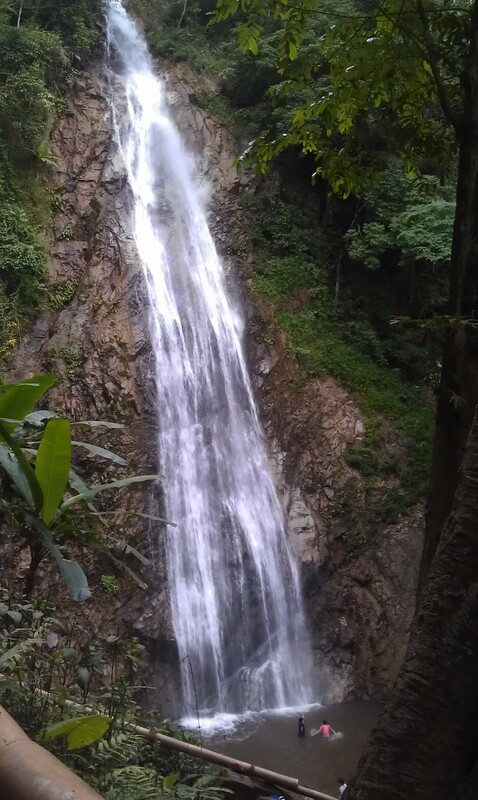 On Saturday we brought the kids to the beautiful waterfall in the national park to go swimming and I was yet again astonished by their natural agility and easy in the forest and water. They are essentially fearless. The only slight advantage I had over the kids was my upstate New York hardened skin, which is accustomed to frigid water. The beauty of the mountains and jungles was only matched by the small scenes you might catch if you were paying attention- the tender way one of our older girls, Kantiya, showed her younger brother Jiraiyu how to navigate the slippery rocks to get up the stream, or the moments when Jira was teaching Ipo how to do back-flips in the base-pool. Amongst a country and culture that is unbelievably foreign to me, I am finding things that transcend languages and boundaries. The connections that I have already forged with some of the children are undoubtedly life-changing. Despite the multiple language barriers and misunderstandings, even with the newest children that speak no Thai, let alone English, ways have been found to convey how much we mean to one-another. Our youngest Wanida, is in the process of learning the basics of Thai and Enlgish, so when you give her something she is sure to take the time to say “thank you” first in her native Lahu, then in Thai, and finally in English. While I am unaware how “I love you” would translate into Lahu, the message is undoubtedly comprehended when this little sweetheart jumps into your arms and gives you a big hug, a kiss and her million-dollar smile. Some things are just universal. Previous: Previous post: Halo! Nama saya Calista.